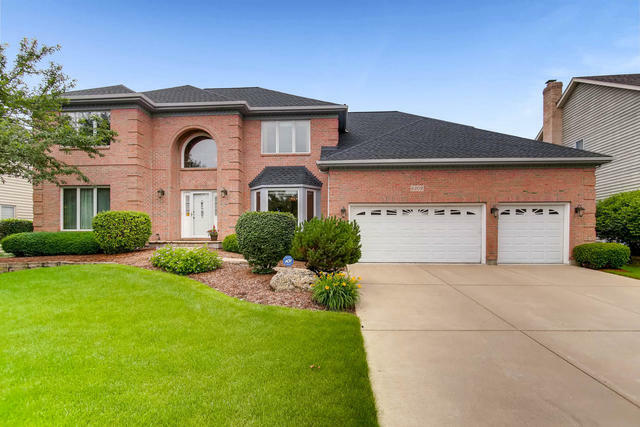 Beautiful Brick/Cedar custom home on golf course in desirable Seven Bridges subdivision. Open executive floor plan great for entertaining with 4 Bed/4 Full Baths and 9 foot ceilings. Large kitchen w/granite countertops & custom cabinets. Crown molding in Formal Living/Dining Rooms, Family Room & Foyer. Tray ceiling in master, twin walk-in closets with Jacuzzi plus bonus room off master. In-Law Suite Potential w/Full Bath on 1st Floor. Office, Den and two Fireplaces on main floor. Finished basement with separate Billiard room, 3 season screened-in porch with brick paver patio. New roof & Pella windows, in-ground sprinklers, newer A/C units & Furnace, 2-Zone HVAC, new twin water heaters, 3-Car garage. Parks, tennis & playgrounds a short walk away. Award-winning DIST. 203 schools. Minutes to highways & trains. Homeowners are downsizing. This was a perfect home to raise a family, now it's your turn!